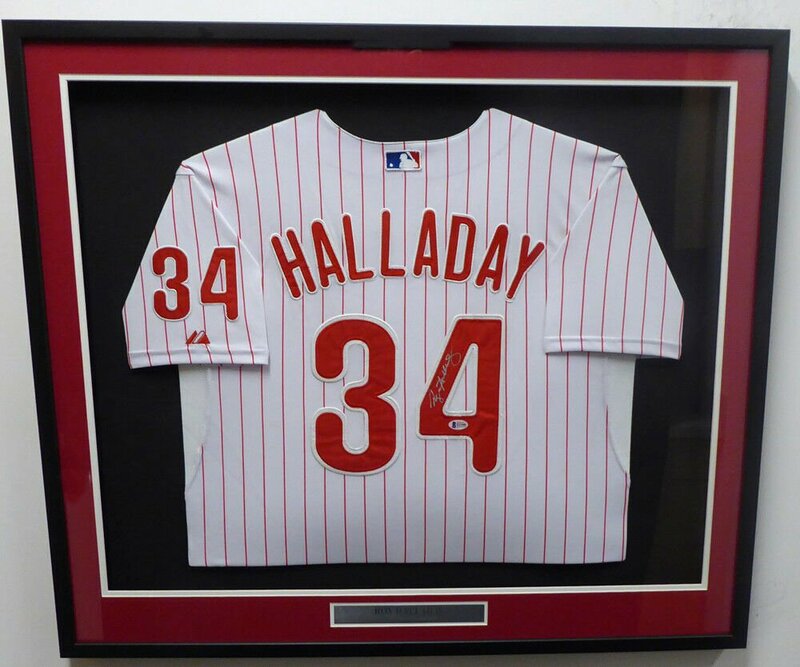 You are viewing a framed Philadelphia Phillies Jersey that has been personally hand signed by Roy Halladay. Frame measures about 31x36. This item has been authenticated by Beckett and comes with their hologram sticker and Certificate of Authenticity. Guaranteed 100% Authentic. Note: there is a minor stain on the jersey sleeve (view pictures). Only 1 in stock. View our store for other authentically, autographed baseball items, and combine shipping.